All skiers should experience the immaculate pistes of Courchevel at least once in their lives. In fact, even those who don’t ski should visit France’s most exclusive alpine resort to enjoy its scenery and sophistication. Even if you are short on time, there is plenty to do within 48 hours. Courchevel has everything a discerning traveller could hope for: luxury accommodation, Michelin restaurants, sumptuous spas and a sophisticated nightlife. If you visit the glamorous resort you will be in the company of a plethora of famous faces, including royalty. Courchevel 1850 is the highest and most elegant of four resorts and is simply referred to as “Courchevel”. If you rent a luxury car in Courchevel for the weekend, you will have the freedom to spend your time as you see fit. The roads leading to Courchevel from the airports (Chambery, Lyon or Geneva) are picturesque, but they take two to three hours so we recommend you hire a luxury SUV to make the journey as comfortable as possible. The roads are well-maintained and the scenery is stunning. You will pass the other villages during your ascent to the resort: Courchevel 1300 (Le Praz), Courchevel 1550 (Courchevel Village) and Courchevel 1650 (Moriond). Food connoisseurs may want to stop off at the highly-recommended Bistrot du Praz at the first village. The unpretentious yet upmarket restaurant is frequently cited as one of the best restaurants in the French Alps and is famous for its hot and cold foie gras specialities. 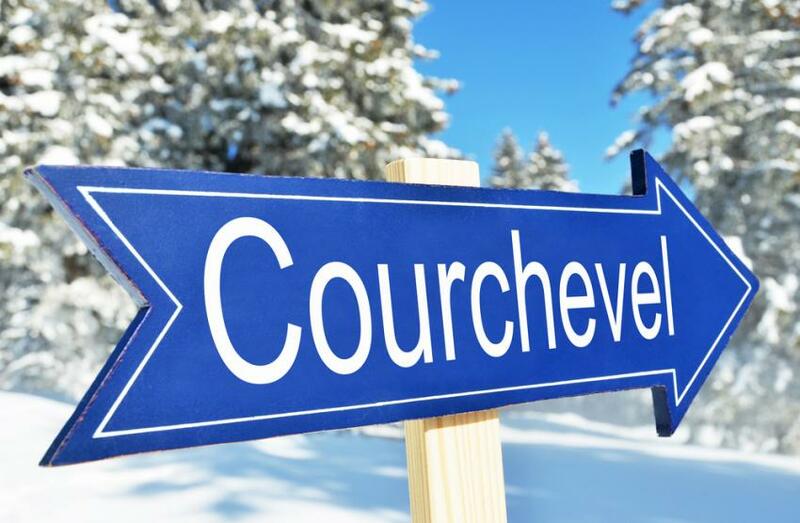 Once you arrive in Courchevel 1850, you’ll be spoilt for choice with the range of exclusive accommodation. The best hotels and chalets in the whole of the French Alps are located in Le Jardin Alpin area at the top of Courchevel 1850. The area contains two of the best hotels in France, which have been distinguished by their prestigious “Palace” titles, a rating system that was implemented by French tourism officials in 2011. The Cheval Blanc and Les Airelles have the rare honour of being two of a select number of 6-star hotels which reflect their outstanding design, comfort and services. The most expensive ski resort hotel in the world, Les Suites de la Potiniere, are also located in Courchevel and, like all things in the resort, the higher your suite the more exclusive it becomes – with views to match. The luxurious accommodation in Courchevel almost routinely comes with spas, pools and hot tubs. In case it doesn’t, or you want to indulge in the finest treatments, head to the Cheval Blanc Spa with massages tailored for skiers and therapies that use Guerlain's Orchidée Impériale line. The spa drew inspiration from the needs generated by cold climate and high-altitude to develop an exclusive collection of treatments. Similarly, the Chabichou Hotel offers a fantastic spa with an aqua-leisure area and a long list of massages, face and body treatments using Carita and Decléor products, as well as a hair-dressing service. While you’re at the Chabichou, you might want to sample their delicious flavourful cuisine at the two-star Michelin restaurant. It is just one of a spectacular five restaurants with two Michelin stars in the resort. Of course, those of you who love the snow came to Courchevel to ski...and once again the resort surpasses itself. The north-facing slopes mean that snow conditions are excellent and the modern lift system links to the wider Three Valleys area. An abundance of runs cater exclusively to beginners and intermediates, but there are black runs and off-piste skiing for skilled skiers and snowboarders. If you need to stock up on ski wear and equipment, you’ll find plenty of shops to explore. Courchevel has everything from designer boutiques and all the big name brands (Chanel, Gucci, etc) that you’d expect to specialist food shops, so even non-skiers will be entertained. Renting an SUV or 4x4 is a practical, comfortable and stylish way to explore Courchevel and the surrounding resorts. Contact us if you’d like further information about our winter SUV rentals.